An exhaustive account of frustrations, difficulties, misspent resources, and safety concerns came across loud and clear from respondents who participated in ISMP’s August through October 2017 national survey on drug shortages. Instead of conducting telehealth sessions without any stated purpose, specific disease management questions are integrated at specific points in the telehealth process. Because telemedicine is still so new, the laws pertaining to it have yet to keep pace with the technology. The rules surrounding telemedicine vary greatly between states, and wading through the list of best practices and guidelines can be difficult. EMRs: Are We There Yet? Perhaps the infrastructure is in place, but the processes to deliver high quality, safe, and cost-efficient care are not yet widely deployed. 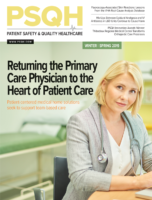 EMRs, originally built to capture documentation to drive revenue codes do not meet the basic workflows and processes required by clinicians to deliver care. Experts on healthcare safety say nonverbal body language known as “behaviors of concern” can precede actual violence, and if caught early, de-escalation tactics can be used to intervene and keep the situation from becoming violent.